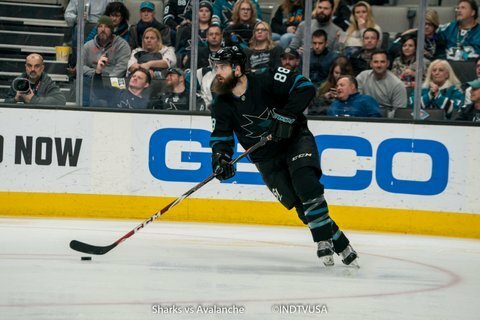 Just over four minutes into the game, Joe Thornton won offensive face-off in the left circle to Brent Burns on the left boards. 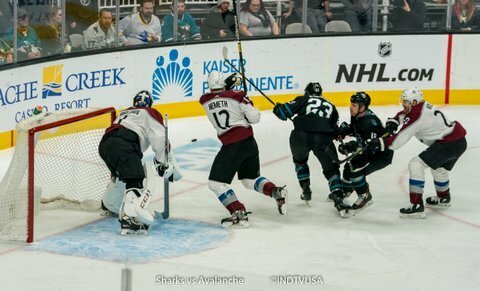 Burns skated down to the bottom of the left circle and put it on the tape of Marcus Sorensen who was just in front of the goalie. 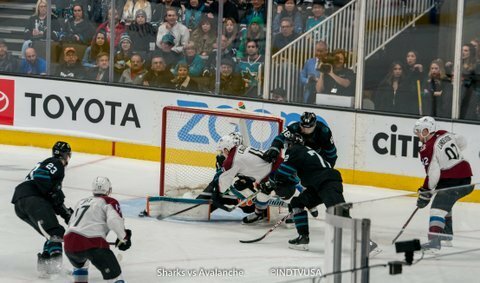 Sorensen deflected it into the net and put the Sharks on a 1-0 lead. 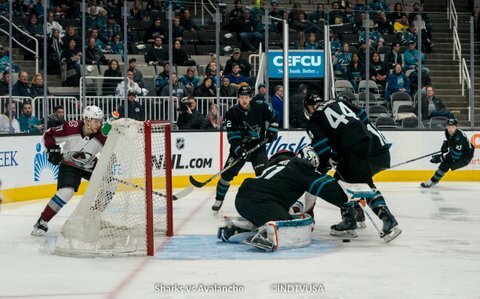 Around two minutes into the second period, Timo Meier skated the puck in to the top of the left circle and unleashed a wrister that beat the goalie over glove. 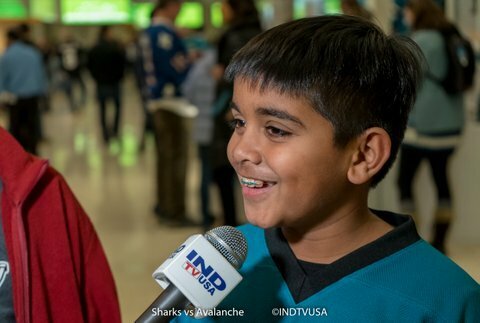 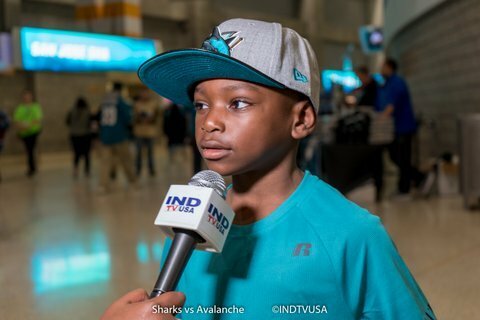 Sharks lead 2-0. 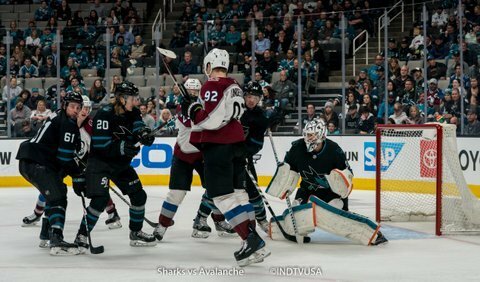 Two minutes later, Colorado defender Nikita Zadorov dropped a bomb of slap shot from between the top of the left circle and blue line that beat Martin Jones clean to the far side and cut the Sharks lead to just one goal. 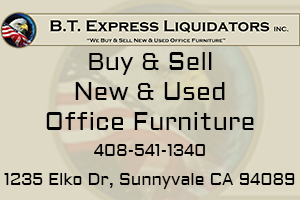 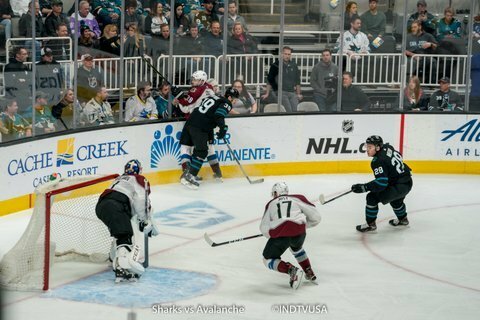 With just twenty-four seconds left in the second period, Tomas Sheryl took a shot from low in the slot that bounced off the post behind the goalie in the blue paint. 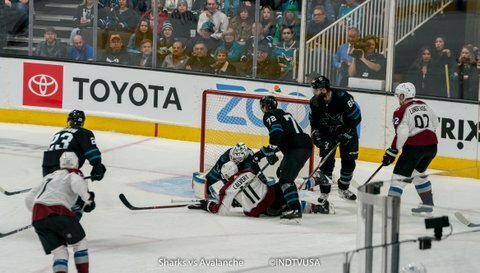 Marcus Sorensen tapped it into the net and put the Sharks on 3-1 lead. 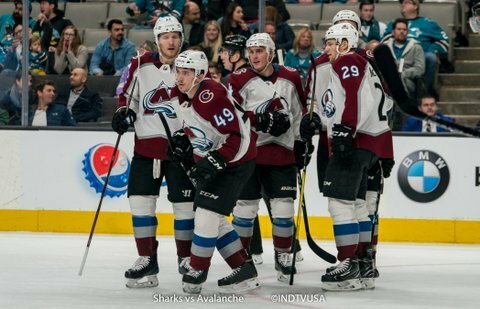 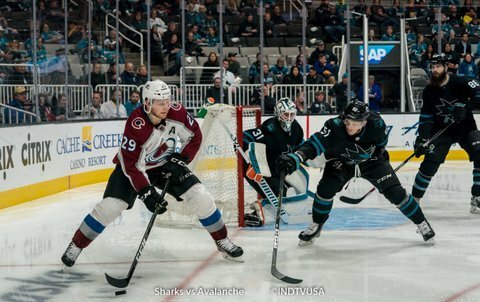 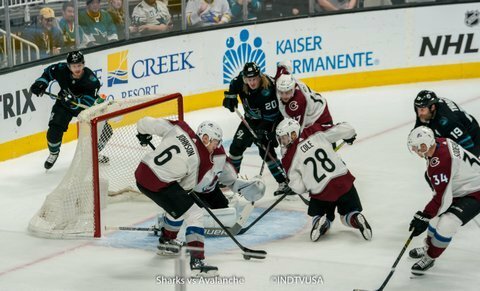 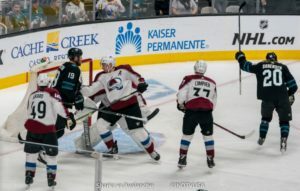 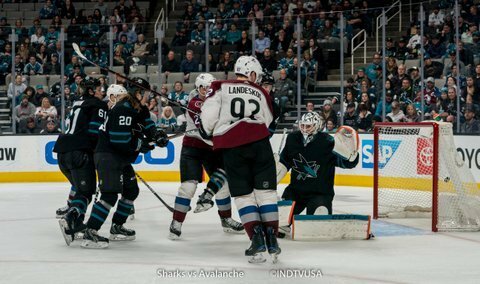 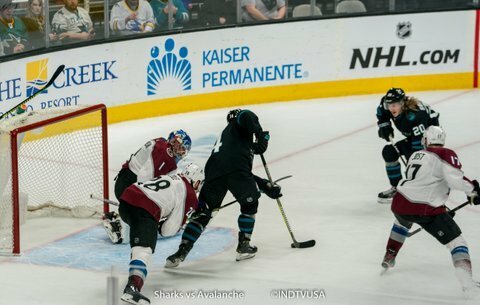 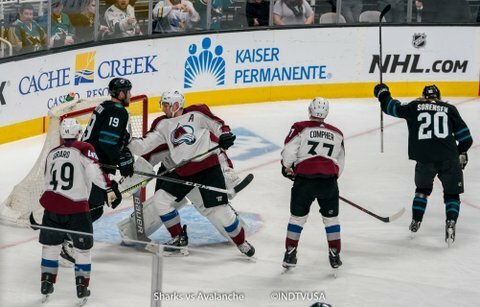 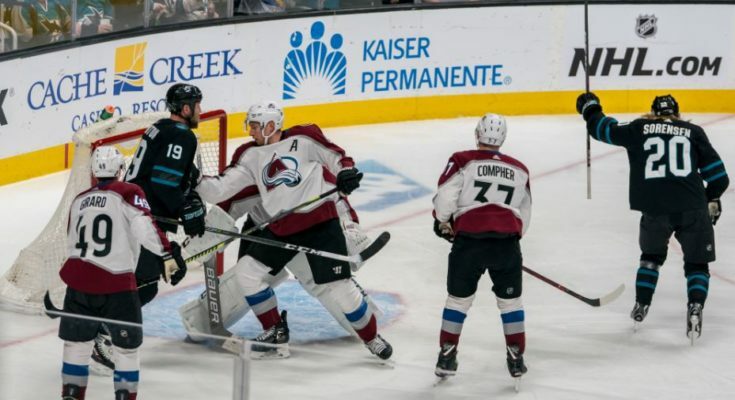 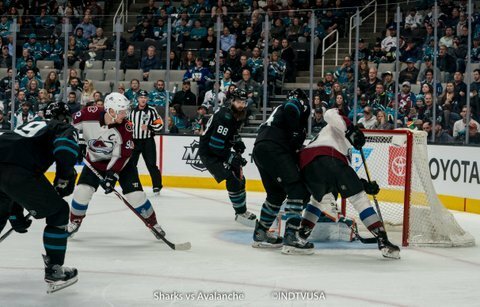 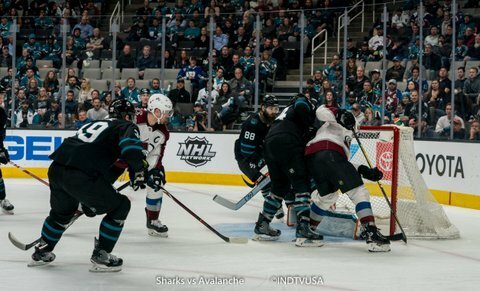 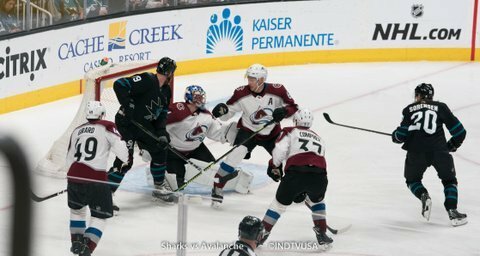 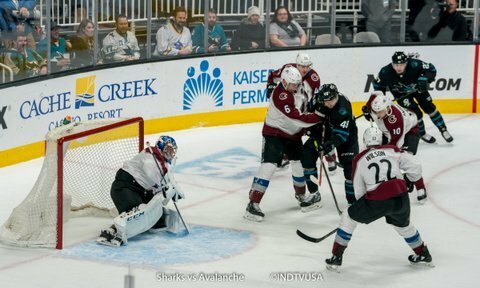 Ten minutes into the third period, Mikko Rantanen scored a power play goal where the puck bounced off of couple of bodies and into the Sharks’ net. 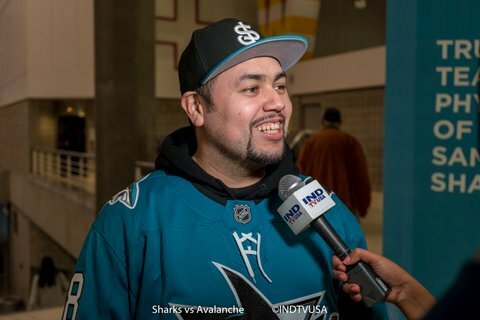 Few minutes late, San Jose also scored a power play goal. 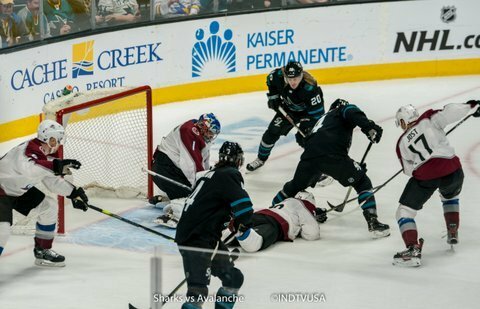 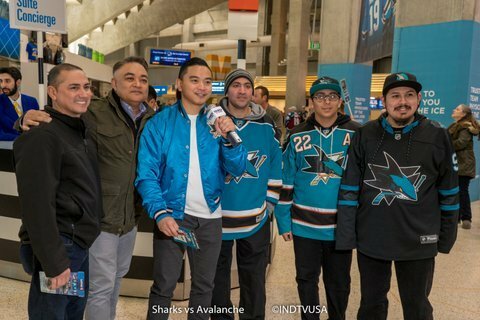 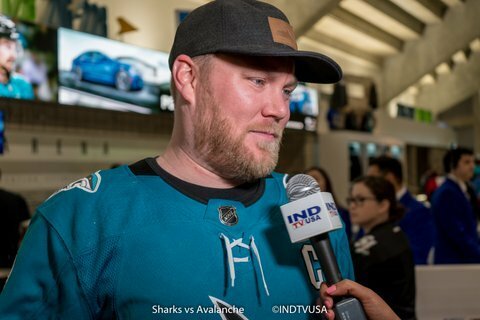 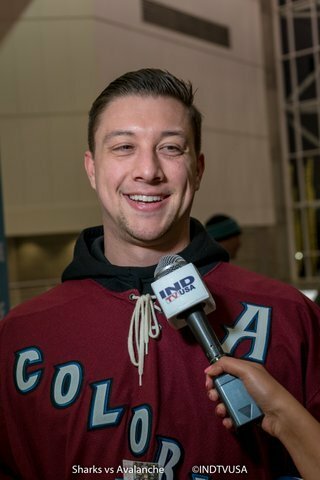 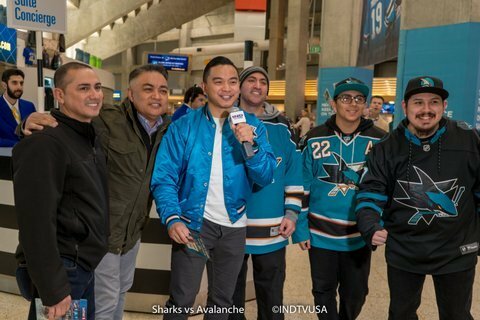 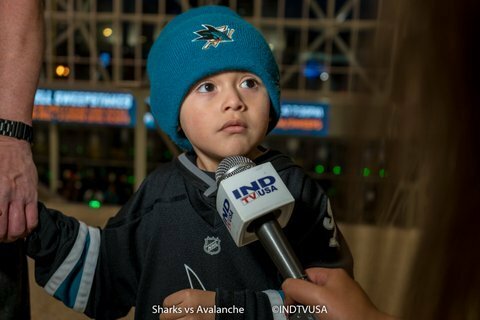 Kevin Labanc skated with the puck from top of the right circle and straight towards the goalie but at the last second he passed the puck to Joe Pavelski low in the left circle for a one timer shot into a wide open net. 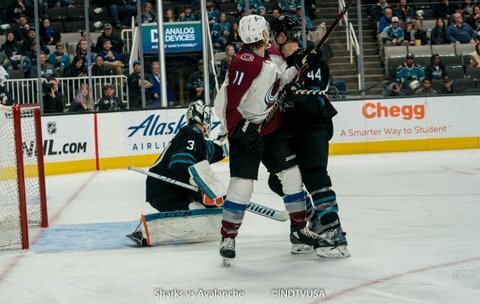 Just a minute later, Samuel Girard scored with a wrister from top of the right circle that beat Jones on the short side. 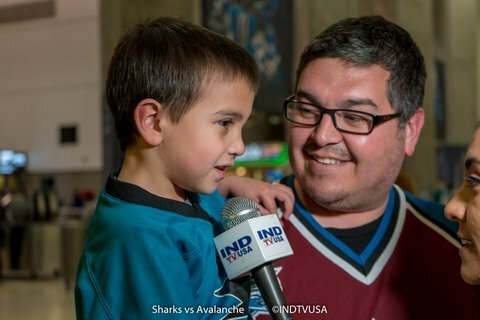 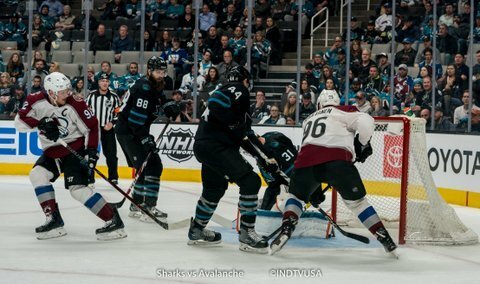 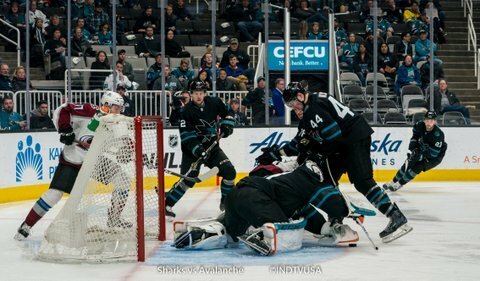 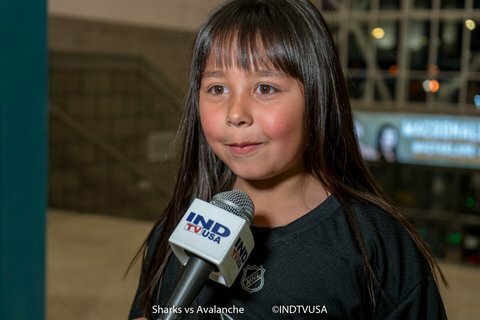 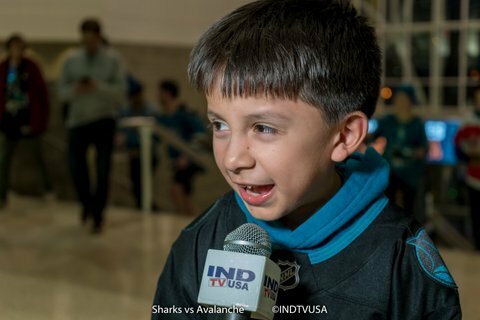 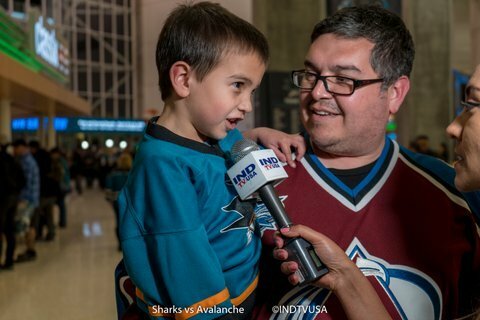 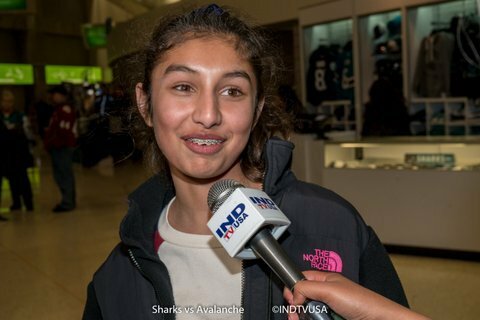 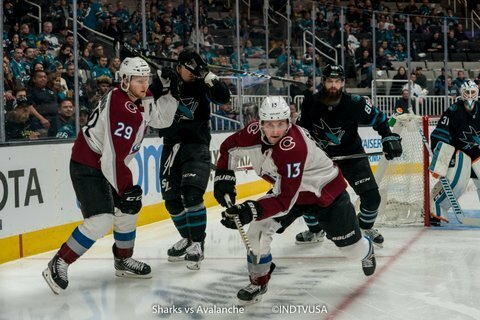 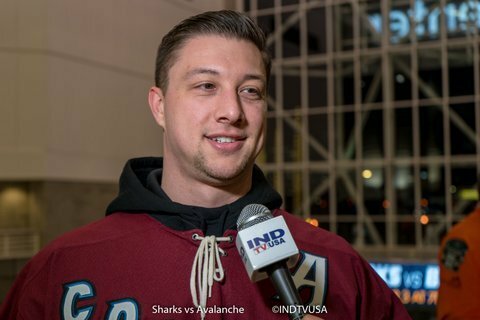 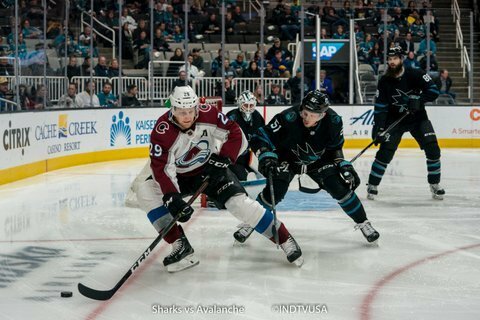 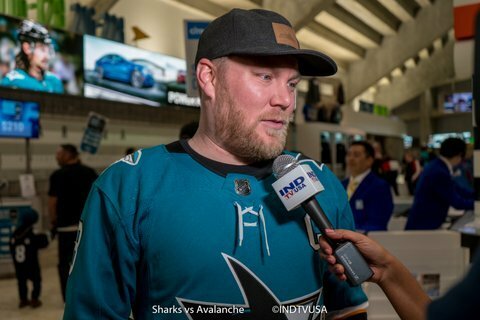 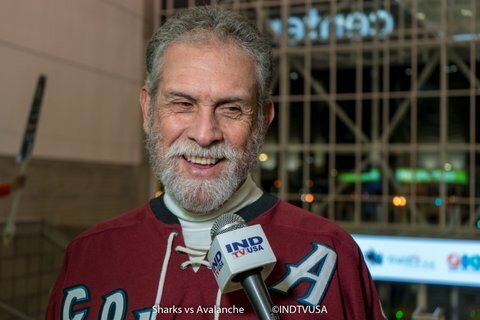 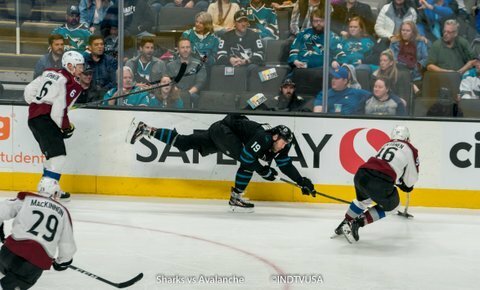 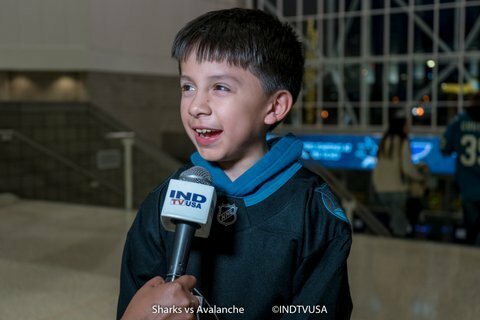 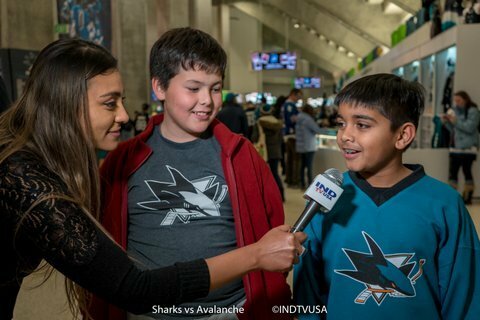 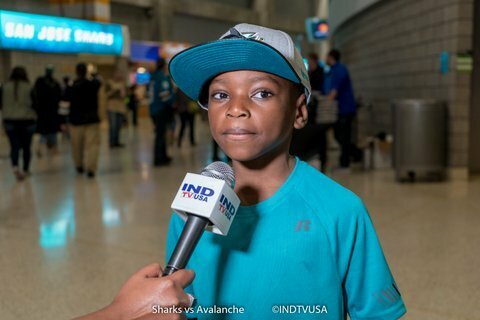 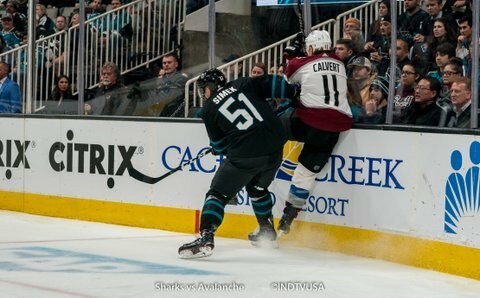 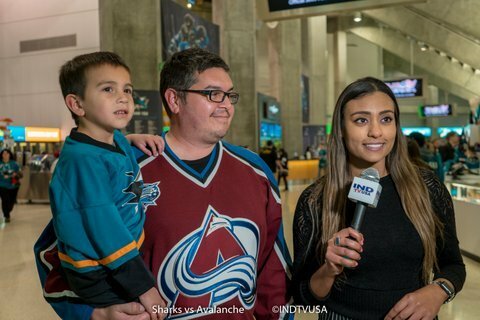 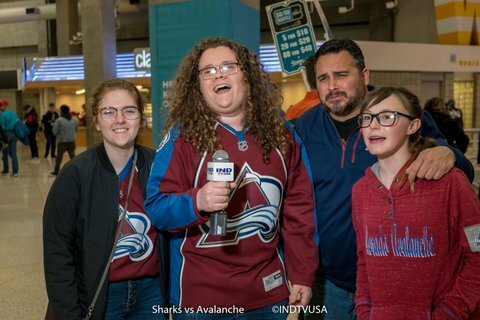 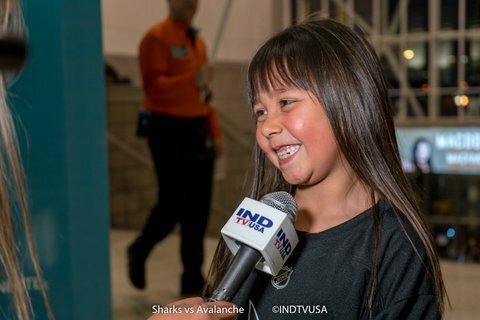 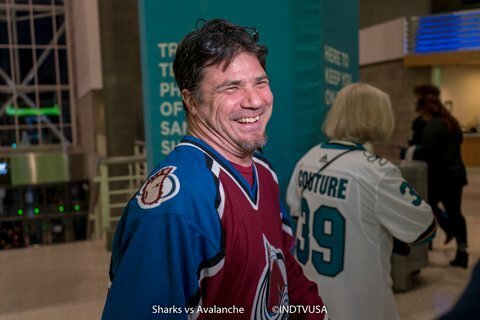 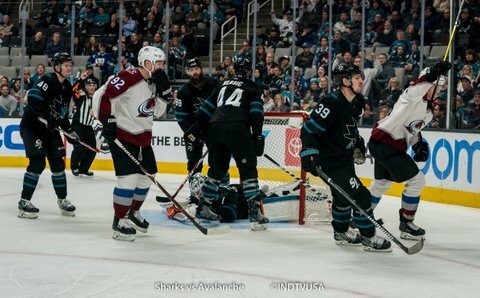 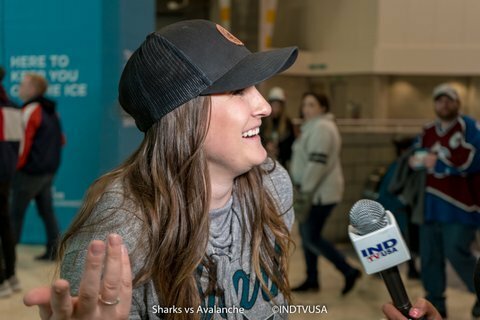 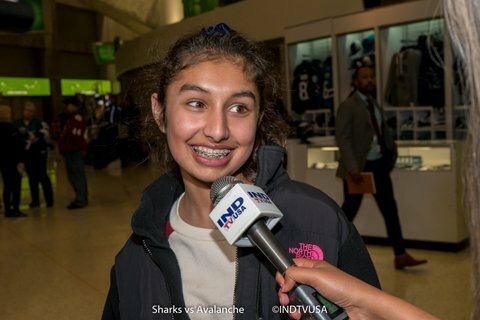 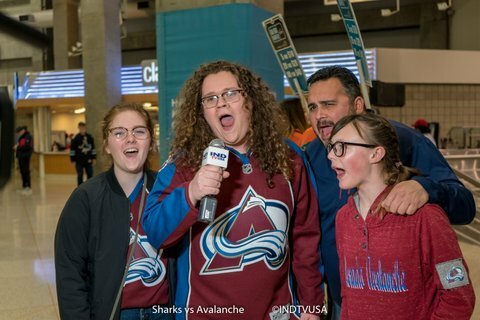 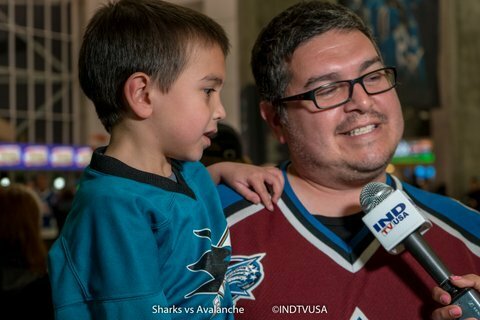 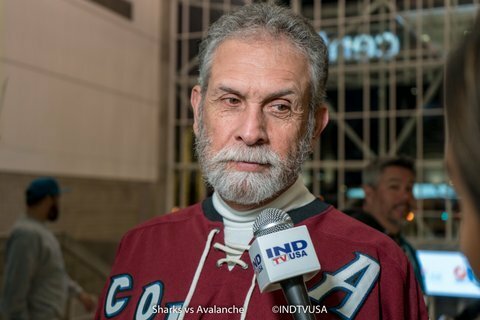 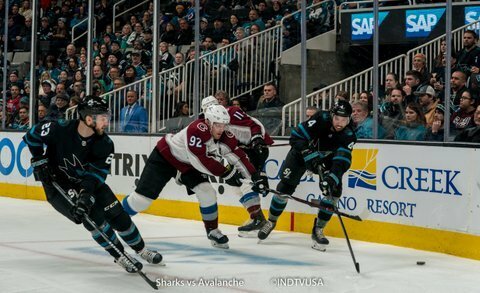 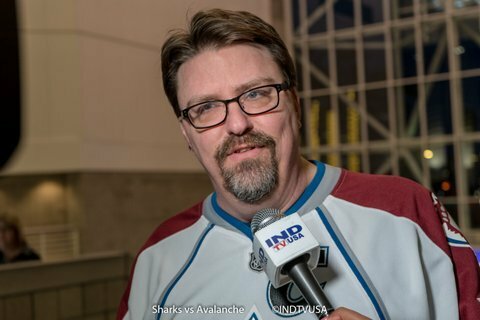 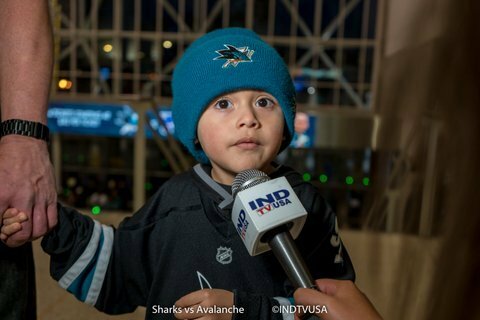 Tonight the Sharks led in face offs (58%-42%), shots (40-25), giveaways (12-7) and takeaways (11-10) while the Avalanche led in hits (18-13) and blocked shots (22-13).